MOSCOW, December 27. /TASS/. Russia has once again called on Kiev to release Chief Editor of the RIA Novosti Ukraine news outlet Kirill Vyshinsky and urged international organizations to influence the Ukrainian authorities, the Russian Foreign Ministry said in a statement on Thursday. “We once again point out that the journalist’s arrest on the false charges of treason is a blatant violation of Ukraine’s international obligations concerning freedom of the media,” the statement reads. “We demand the Kiev regime stops its arbitrariness against Vyshinsky and release him immediately. We call on the relevant international bodies to show some response and increase pressure on the Ukrainian authorities,” the Russian Foreign Ministry added. 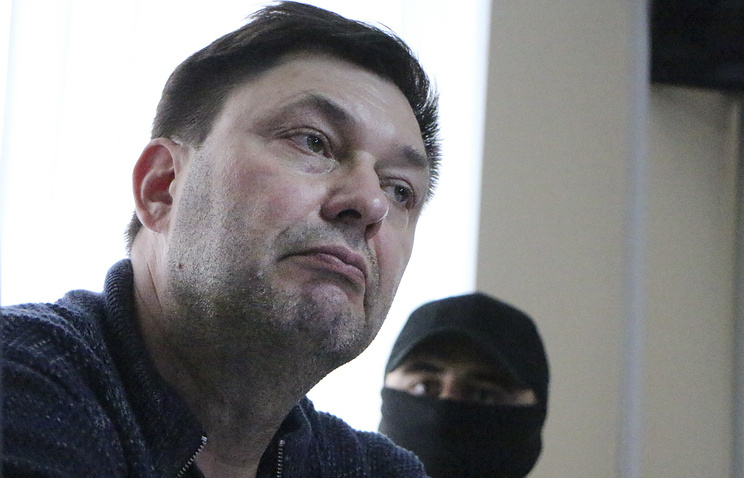 Earlier on Wednesday, Ukraine’s Kherson City Court extended Vyshinsky’s arrest until January 27, 2019. On May 15, the Ukrainian Security Service (SBU) carried out a large-scale operation against RIA Novosti Ukraine staff members, accusing them of high treason. The news outlet’s Chief Editor Kirill Vyshinsky was arrested. Searches were conducted in the news agency’s Kiev office and press center, as well as in some journalists’ apartments. The SBU also issued a statement claiming that “a network of media structures, which Moscow used for carrying out a hybrid war” against Kiev had been exposed. Hey Buddy!, I found this information for you: "Moscow calls on international organizations to make Kiev release Russian journalist". Here is the website link: https://russophile.org/moscow-calls-on-international-organizations-to-make-kiev-release-russian-journalist/. Thank you.